Following News Corp’s acquisition of ESPN’s partnership interest in ESPN STAR Sports (ESS) in November last year, all ESPN networks will be renamed as Fox Sports networks on Astro in Malaysia. According to the network, ESPN subscribers will continue to have same sporting content and more, including Asian Football Confederation events, motor-racing, Grand Slam tennis, events from the WTA Tour and ATP World Tour and the Hopman Cup, the Golf Majors and premier Asian sports among others. Sports still be followed online at foxsportsasia.com in place of espnstar.com, while in Malaysia the same sports coverage online in Bahasa Malaysia is at www.foxsports.my. 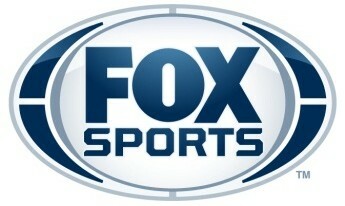 Fox Sports will also launch the new sports news programme Fox Sports Central, aiming to bring sport news to viewers. The Fox Sports Central programme will replace the current programme SportsCenter on ESPN and will be aired on Fox Sports on weeknights. The new fan-focused initiatives also includes the introduction of the new programming block such as the ‘Thursday Fight Night’ showcasing a variety of content from the Ultimate Fighting Championship, and further building upon the recently launched ‘ABL Friday Basketball’ featuring ASEAN Basketball League. Peter Hutton, senior vice president, Sports, Fox International Channels, said Fox Sports will continue to showcase engaging and localised programming for its audience, moving forward. News Corp said Fox Sports network in Asia spans more than 100 million households across 16 countries. This will allow MAS to maximise every revenue opportunity such as purchasing excess baggage and including a chauffeur service upon.. In a bold move to differentiate itself from the competition, NTUC Income will invest SG$4 million a year to create a band of train..